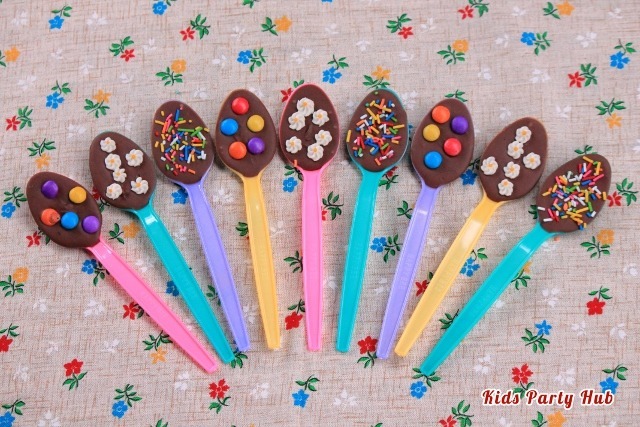 Prepare: -plastic spoons -choco melt (any flavor will do) -candies (sprinkles, glitters, nips, etc) Melt choco then fill each spoon. Add color with your candies as you top spoons with them. Enjoy as many SPOONFUL SWEETNESS as you can!